LOS ALTOS, Calif. (KGO) -- The publisher of a Los Altos-based magazine is apologizing for a recent swimsuit spread many called inappropriate. 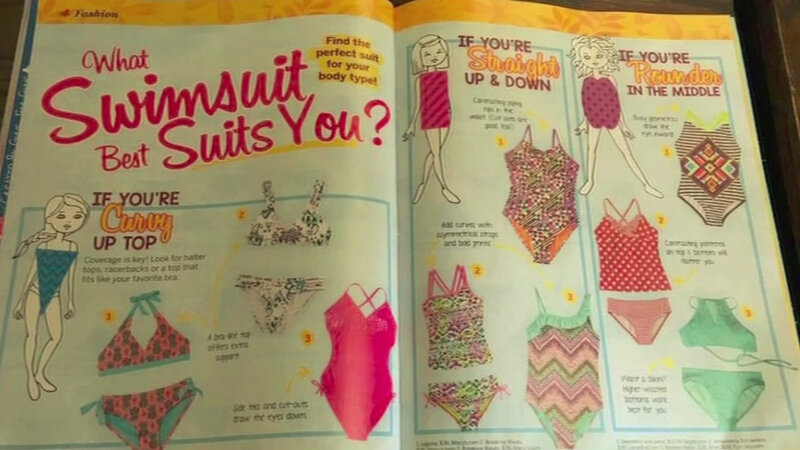 An article titled "What Swimsuit Best Suits You" in Discovery Girls Magazine asks young readers to choose bathing suits, based on size and curves. The article unleashed a body shaming backlash on social media. The magazine is aimed at 8 to 12-year-olds. The publisher wrote an open letter on Facebook, "The article was supposed to be about finding cute, fun swimsuits that make girls feel confident. Nobody knows better than discovery girls how impressionable our girls are at this age."